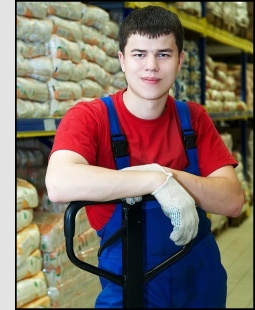 The back and shoulder injury has been an ongoing problem for Warehousing and Transportation Managers for decades. Sprain and strain injuries cause significant lost work time, increases operational costs, and can have a significant impact on employee morale. Moreover, these "unexplained" injuries don't seem to have a specific area of causation that can be addressed to stop the injuries. Ergonomics re-engineering -- ergonomically retooling an industrial site can be extremely expensive and difficult to justify, especially in today's economy. Safety Training -- Videos and "back talks" are good for "awareness" but don't change the employee's' physical behavior. Video-based training has never worked to prevent sprain/strain injuries. A lot of time and money have been spent in an attempt to get a handle on controlling these injury claims. Yet, year after year they persist--to the tune of billions of dollars of lost time and workers' comp costs, not to mention the hours spent on completing injury reports. In fact, this is the same situation we encountered twenty years ago in our quest to solve back and shoulder work-related injuries. Most sprain/strain injuries are not caused by any specific job task or area in your operation. Back injuries can occur with a good sneeze, making a solution very elusive. Or so it used to be before Bionomics training was founded. Our first observation when developing Bionomic injury prevention training was realizing that employees didn't respond well to video instruction. Upon further investigation, we learned that physical skills can't be learned successfully without DOING that physical motion. There is no "doing" when watching a "how to video," therefore there is no long-term learning. Would you train your child how to swim with a video? Or ride a bike? It is impossible to learn any physical skill (lifting, bending, pushing are physical skills!) without "drilling/practicing" that skill until you "own" it. Bionomics training employs "obstacle courses" that utilize the workers' precise job tasks and materials as a practical exercise. Employees "do" the training, not watch it. Back and shoulder injuries are the result of a lifetime series of micro-trauma that has built over time. Bionomics training teaches employees how to prevent these micro-traumas and even teaches them how to get rid of existing accumulated physical stress in their back, shoulders, neck, hands, legs and wrists. Bionomics includes job-specific biomechanics training, a customized stretching program, and tailor-made theory modules that only take 120 minutes per workshop. How to gain employees buy-in. How to get your employees to change how they lift, bend, push, pull, operate forklifts, enter and exit vehicles, etc. to prevent painful injuries. How to entice employees to want to stretch to relieve discomfort in often-used muscle groups. The return on investment (ROI) can be dramatic if sprain/strains represent over 40% of your claims' costs. "We saved over $700k per year while increasing production"--Ops Manager"
Boy, did this 52 year-old body need this training!"--EmployeeF.I.T. has over 1,200 Certified Injury Prevention Specialists across the U.S. and Canada to help you to prevent injuries and have better control over your production. We also offer a train-the-trainer option. We have trained over one million employees with great success. We have the experience and know-how to help you to protect your most valuable asset! Please call me to learn more about our Bionomic training programs for warehousing and transportation and to receive a quote to train your employees. Back and shoulder injury claims are now preventable. We can prove it!